This year's Consumer Electronics Show feels like the biggest ever with dozens of showcase venues, hundreds of innovations and thousands of products. 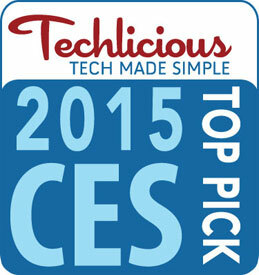 The Techlicious team strapped on our fitness trackers and walked well over 10,000 steps looking for the most exciting new products announced at the show this year. Solar charging batteries are nothing new; neither are small, portable ones designed to keep your smartphone and other mobile gadgets juiced. What makes the Helios Smart so special is that, instead of needing hours and hours in the sun to absorb enough energy to fully charge a phone, it only needs 90 minutes. 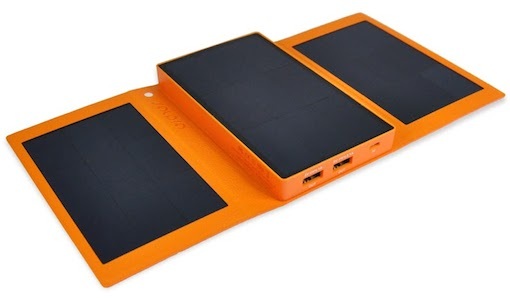 Leave the 4500mAh portable battery charger in the sun for 4.5 hours and it can charge a smartphone up to three times. To top it off, the Helios is about the same size and weight as other traditional battery packs since it folds up and is easily carried in a pocket or tucked into a bag. The Flex Duo range has always allowed cooks the ability to divide their ovens into two separate areas for cooking at different temperatures without crossing the taste and aroma streams. This year Samsung is taking the concept to the next level by introducing a Dual Door. Now you can open just the top compartment, if the first dish is done, by pressing a special button on the handle. Need access to the lower portion? Just open as you normally would. The Smart Divider that keeps the two sections of the oven separate is removable if you need more space, and the Flex Duo senses when it's in and when it's out, adjusting your control options automatically. How much time do you spend doing laundry in a week? Be ready to cut that almost in half. LG created a mini washing machine that fits into the pedestal of front loading washers, but doesn't require any fancy hardware to connect and install. 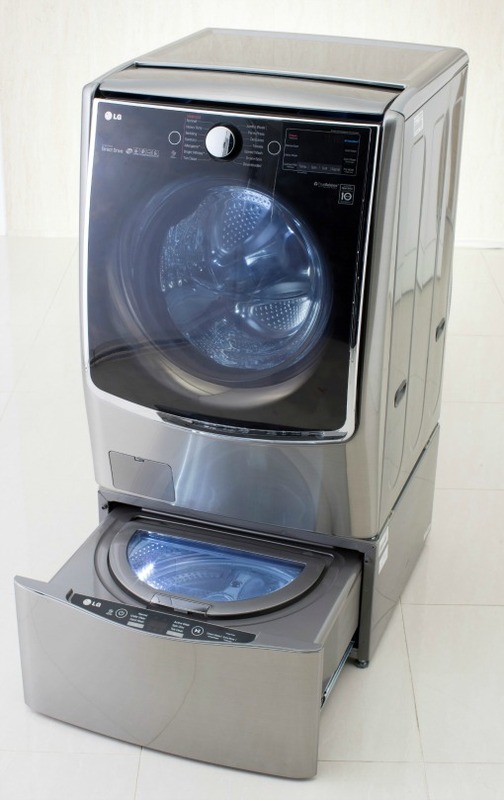 You can run this separately from the main washer or simultaneously, with all the same wash cycles and benefits. The LG Twin Wash System is perfect for specialized loads like lingerie, quick loads like sports uniforms, or for washing clothes that don't ever make up a full load. The Twin Wash works with the new washer/dryer models, as well as any of the company's existing front loaders with a pedestal. The benefits solid state drives offer inside your computer--higher speed than spinning hard drives, greater durability due to lack of moving parts, slim design for slimmer laptops--apply to external drives, too. Your 1TB portable hard drive may be small enough to carry around, but doing so means risking your data, even with the best of them. Enter the T1 SSD, a beautifully designed 1TB external drive that's smaller than a credit card, weighs a hair over one ounce, and is less than 0.4 inches thick. 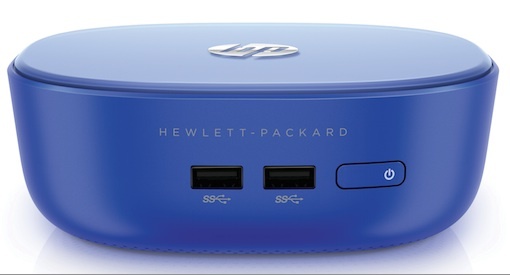 Connect it to a USB 3.0 port and you can transfer a 10GB file in less than 30 seconds and protect said file with 256-bit encryption. Drop it in your pocket or the bottom of a bag, it's hardy enough to withstand shocks, drops, even extreme temperatures. The Portable SSD T1 will come in 250GB, 500GB, and 1TB capacities. Love listening to music through your smartphone but hate how much battery that drains? Phaz Music has the solution: headphones that charge your phone. 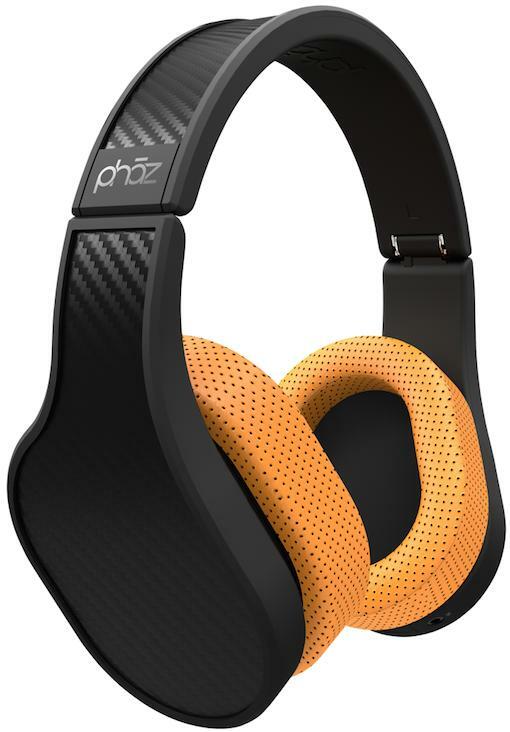 The Phaz Model P2s are over ear headphones designed to be comfortable even after wearing for several hours. The audio quality is solid thanks to a high-end amplifier, and there's even a bass boost for those of us who are all about it. The integrated battery powers these features and has plenty of leftover juice for recharging smartphones. Yet this extra capacity doesn't mean extra weight; the P2s are super light. Add in an attractive design and interchangable earcups that come in multiple colors and you have a seriously impressive pair of headphones. The new Stream Mini makes for a nice little desktop computer, but we see even more potential in it as the brains behind your media center. 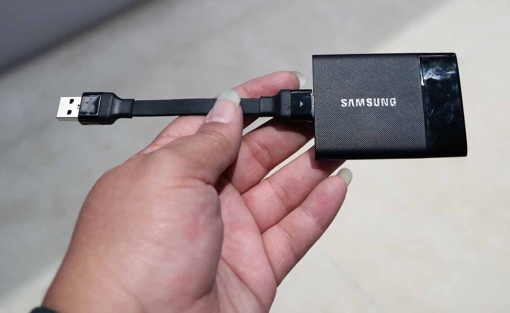 At just over 2 inches tall the Mini is small enough to tuck next to the cable box or the TV and the simple, elegant design ensures it fits right in. Plus, it only draws 45 watts of power and doesn't have a fan, so it runs quietly. Hook it up to the TV via HDMI, sit back on the couch with the wireless keyboard and mouse, and you're ready to stream Hulu, Netflix, and any other video on the web without having to worry about compatibility or special apps. The Kolibree combines a wide array of features found individually on other toothbrushes into one impressive dental hygiene tool that will help everyone in the family brush better. 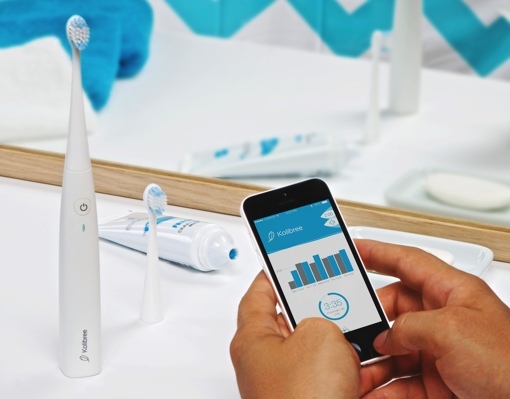 Aside from electric vibration, Bluetooth connectivity, and apps to track data, the Kolibree has a 3D motion sensor that can tell how long you brushed and where it's been in your mouth. If you typically under-clean a zone, the iOS/Android app alerts you. And kids get a fun brushing game that encourages them to reach every single tooth. There are bound to be more cool features down the line since the platform is open to third party developers. Consumer grade 4K camcorders are finally becoming more mainstream. But no matter how high a resolution you capture video in, it won't be that impressive if your camera can't handle high contrast lighting situations. The solution in the Panasonic HC-WX970 is HDR, which you can get even in inexpensive cameras and smartphones for still shots. But video is far more challenging, which makes the Panasonic HC-WX970 so impressive as the first camcorder to include HDR for video. This camcorder's high dynamic range option captures great video in conditions that usually result in dark or overexposed and unusable files. Whether you're out in bright light, a dark room, or an area that mixes both, your 4K video will be worthy of showing off on your 4K television. 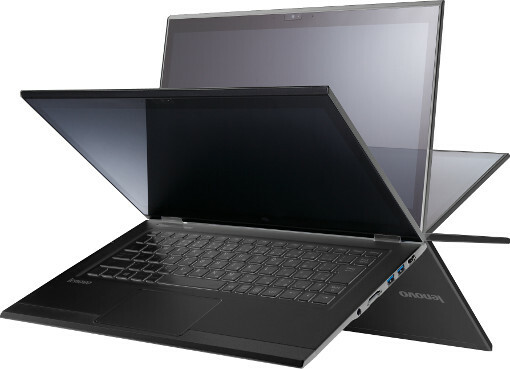 It's hard to convey just how light the new LaVie Z laptop is without sounding hyperbolic. The first time we held it we were convinced Lenovo had handed us a shell without any innards. But no, the 1.72 pound, 13.3-inch ultraportable really is just that light. It's also super thin at 16.9mm and made from a magnesium-lithium alloy that keeps it sturdy. Though the laptop feels empty, there's an Intel Core i5 processor inside, and it's bound to live up to the Lenovo standard for performance. Ditching cable just got a lot more attractive. 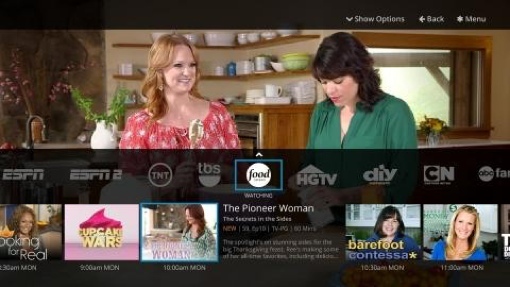 The Dish Network's Sling TV is a $20/month streaming media service that includes real cable channels such as ESPN, CNN, Food Network and ABC Family, which owners can watch on connected televisions, via set top boxes, or on smartphones and tablets. Want to expand your channels? Themed packages for sports, kids and other categories will be available for $5/month each. No more paying for dozens of channels you don't want. And, you don't have to be a Dish subscriber to take advantage, just need an Internet connection and a compatible device. This year Misfit made the Shine itself worthy of a jewelry case. 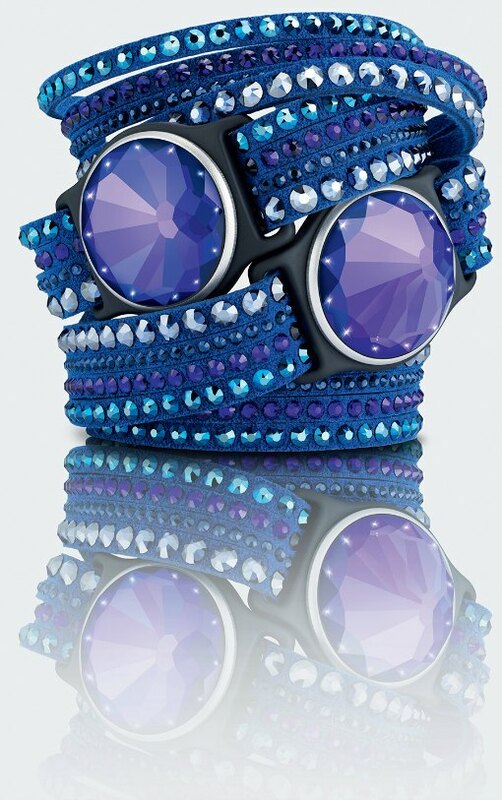 The Swarovski Collection Shine fitness trackers are large crystals that form the centerpiece of some seriously blinged out bracelets and pendents. The core functionality is the same, you'll just look more fabulous as you walk 10,000 steps. But, the violet color Shine has a big bonus: solar charging. Now you'll never have to worry about changing your Misfit battery as long as you spend a healthy amount of time in the light (unlike us tech writers). Smartphones with 4G LTE radios are now blazingly fast...if you're in a strong signal area. If not, your phone not only has a slower connection, it also drops calls more readily and uses up more battery reaching for that signal. Products that claim to solve this problem rarely live up to the promise, but the Reach79 case really works. It doubles the phone antenna's strength by coupling with it, so both the external and internal antennas work together. Yet it's not very big. 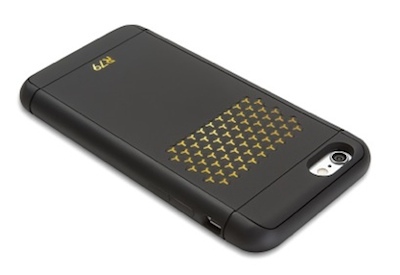 The case is slim and lightweight so you'll hardly notice a difference when holding the phone. What you will notice is better battery life, faster connections, and a wider range of usability. Contributors to this feature include K.T. Bradford, Kristy Holch, Suzanne Kantra, Josh Kirschner, Gloria Sin and Fox Van Allen. Hey there! That link to the Lenovo site (for the LaVie) leads to a Sears page! You might want to change it!